Power Star Pawan Kalyan put an end to his movie career and is currently active in the politics. 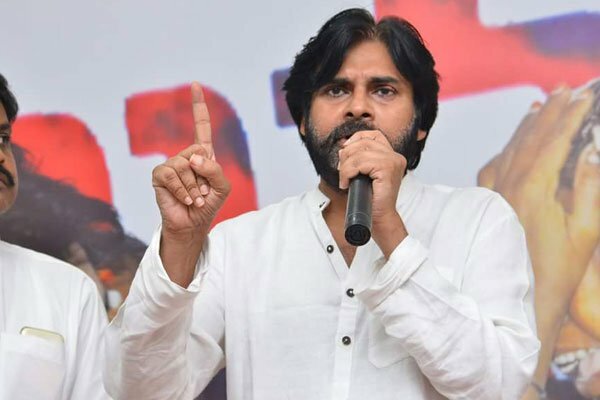 Pawan is all set to introduce his party Janasena to the upcoming elections and he already announced that his party will contest for all 175 constituencies in Andhra Pradesh state. Meanwhile, Pawan Kalyan made some statements on Sr NTR which are trending on the social media. Recently, at an event, Pawan spoke about NTR. Speaking at the event, Pawan said that NTR was very proud and it created him a lot of trouble. Adding more, Pawan said that he will not let the pride feeling overtake him in any aspect. “NTR expressed confidence that even a dog can taste the victory in Medak constituency but in the end, he failed in the election. I am not going to talk unnecessarily looking at the number of people attending my meetings. I will always be grounded.” said Pawan Kalyan. Pawan could have given other examples for revealing his grounded nature but what he has done now is drawing a lot of criticism on him.